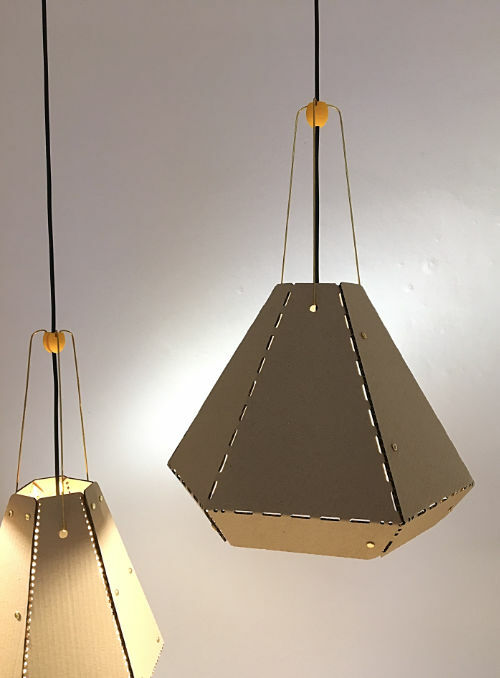 All 50LtTA pendant lamps are assembled with paper binders – no glue needed. 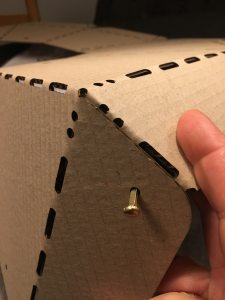 You should be able to find these in your local office supply. 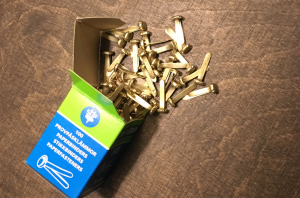 To mount the lampe you’ll need 3 pieces of 2mm brass wire. 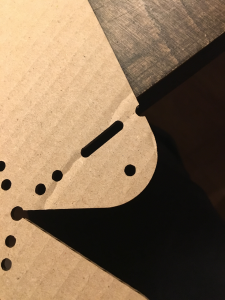 They should be 30cm long. 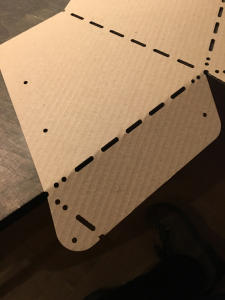 You can find them in hobby shops – locally or online. 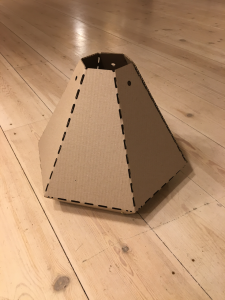 When using corrugated cardboard to make the 50LtTA lamps you’ll find that some creasing is more challenging that others – the internal structure of the material may work against the crease. 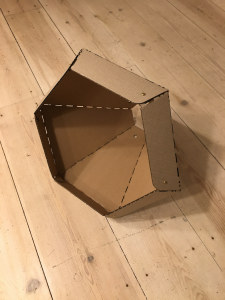 To work around this you can carefully bend the cardboard along the edge of a table. Pre-bending the material makes the building process much easier. 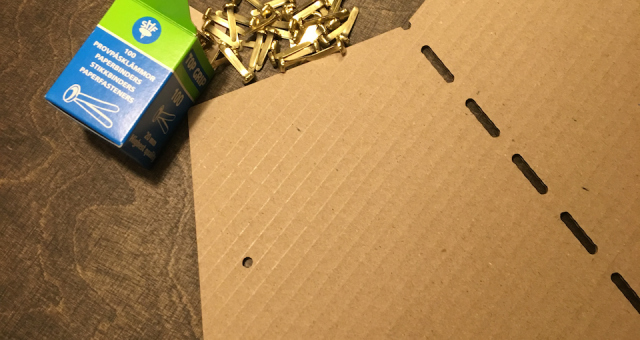 Make sure that the holes for the paper binders are aligned and push the binder through. 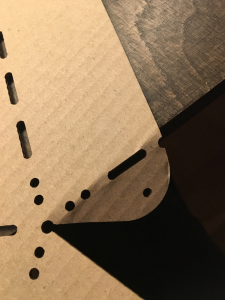 If you have trouble aligning the holes try carefully dragging the cardboard into shape. 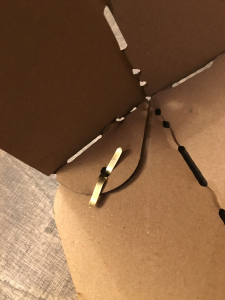 Attach the clip to the electrical wire, press the bent brass wires into the clip and hang the shade from the wires. You may need to make minor adjustments to level the lamp. Have fun and comment on the instructions if you have issues or questions.